This holiday season there is no shortage of tech gifts ideas. Here are ideas to help you navigate tech shopping that come in all prices, types and for every person on your shopping list! Gift the fitness fanatic a little extra motivation with this set of wireless headphones from Anker. Whether they’re primarily packing them in their gym duffel or work bag, a single charge allows for 10 hours of playing time, and the headphones’ sweatproof build prevents moisture from corroding their exterior. Give them a little breathing room with this portable ultrasonic humidifier, which adds moisture to an uncomfortably dry atmosphere (making it a perfect wintertime gift idea!). It’s an adorable device that has simple on/off button functionality, and diffuses water continuously for up to 12 hours, then automatically shutting off. Now they can take their massive library of books with them wherever they go! The best-selling Kindle Paperwhite offers users a convenient, lightweight, and glare-free reading experience, lasting up to six weeks on a single charge! This screen is backlit and allows users to adjust the font size. It also has a high-resolution 300 ppi display, so the words are always crystal clear. 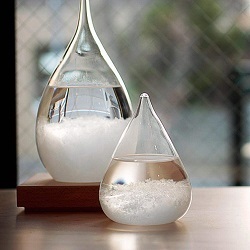 The appearance of the liquid transform from clear to cloudy to crystal flake to help you predict the weather. Decoration for living room, bedroom and table which is very beautiful and fashion. Package includes: Crystal Drop Mini Shape Storm Glass and Elegant Gift Box. The impeccably styled Libratone Track+ are the best noise-canceling wireless earbuds available today. 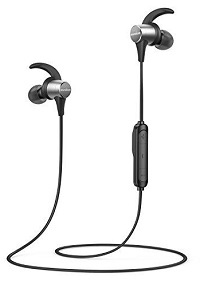 They have adjustable noise canceling and excellent audio quality. 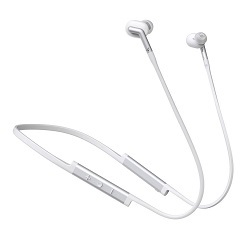 Plus, thanks to their soft rubber neckband, the Track+ earbuds are perfect for everyday use. The sound of the Track+ wireless earbuds is enjoyable and good for most types of audio content. Libratone claims that the Track+ earbuds (which come in black or white) can last up to 8 hours between charges. This mobile, pocket-sized printer instantly prints their favorite pictures and ‘grams via Bluetooth connection with no ink cartridges to worry about and no wires. It’s compatible with iOS and Android phones and tablets, making it a perfect gift for the parent who’s always asking you to print out that picture from Facebook. 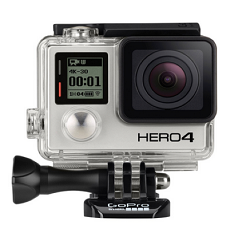 HERO4 Black takes Emmy Award-winning GoPro performance to the next level with our best image quality yet, plus a 2x more powerful processor that delivers super slow motion at 240 frames per second. Incredible high-resolution 4K30 and 2.7K60 video combines with 1080p120 and 720p240 slow motion to enable stunning, immersive footage of you and your world. Protun settings for both photos and video unlock manual control of Color, ISO Limit, Exposure and more. Waterproof to 131 feet (40 meter) with 12MP photos at 30 frames per second and improved audio, HERO4 Black is the ultimate life-capture solution for those who demand the best. Now they won’t have to waste precious weekend moments vacuuming the house! The Roomba 690 is equipped with dirt-detection sensors, so it knows when it has to work extra hard to clean a specific area. Plus, its Wi-Fi connectivity allows you to keep an eye on its progress from your phone while you’re away. And oh yeah, it’s Prime-eligible for you last-minute gift-givers. 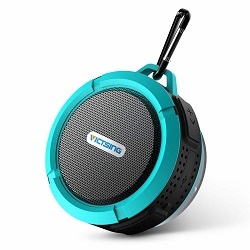 Works with Alexa for voice control (Alexa device sold separately). The Nest Cam sees it all! Get alerts through your Nest App whenever the camera detects movement and activity. And the coolest part is that the Nest Cam can tell the difference between movement from say a hand getting into a cookie jar, and a person entering a room. Person Alerts and Activity Alerts can help keep your home safe even if you aren’t there. Nest Cam Indoor has a built-in speaker and mic, so you can hear what’s happening at home. Or tell the dog to get off the couch. 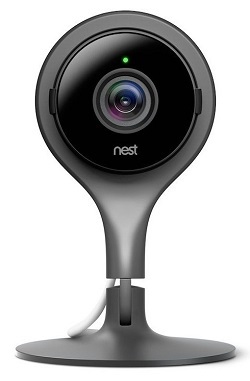 The compact size of the Nest Cam makes installation a breeze. Auto takeoff and auto return home with GPS technology, makes controlling easy. App enables monitoring and camera operation easy. It will capture 4K, ultra HD video at 30 fps. The supported resolutions include: 12.0MP (4000 x 3000) photos. The f/2.8 lens with a broad field of view delivers crisp, clear images. Gimbal stabilization technology, along with a hover function allows you to capture smooth, clean footage while the camera is in the air. Use DJI director software with a built-in video editor to add music, text, and more to your videos.